How do you respond when someone you know tells you they’re facing cancer? So often, people feel at a loss for words. How can you make a difference at such a difficult time in your friend’s life? You don’t have to feel helpless. Facing Cancer as a Friend will show you what to say (and what not to say). You’ll learn how to use your gifts and strengths to support your friend when they need it most. 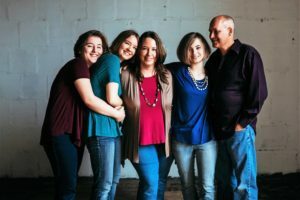 When my husband was diagnosed with stage IV lung cancer in 2012 we were shocked. How could that happen to us? In the years since we have learned a lot. I’ve written extensively about living with cancer with the goal of giving others knowledge that we had to gain the hard way. My books are for patients, caregivers, and anyone who wants to make the lives of someone going through a life-altering diagnosis easier. 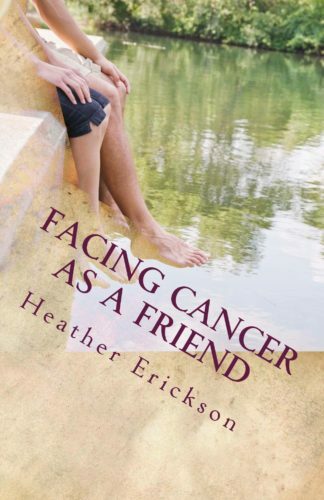 I’ve written extensively about living with cancer, with the goal of giving others knowledge that we had to gain the hard way. My books are for patients, caregivers, friends, and anyone who wants to make the lives of someone going through a life-altering diagnosis easier. In 2012 doctors diagnosed my husband, Dan with stage IV lung cancer. Since then, our family has been learning what it means to face cancer. I’ve focused my writing and speaking on helping cancer patients and their families advocate for themselves and live life to the fullest, in spite of their illness. My goal is to help people face cancer with grace.